Occasionally, when tracking down a performance problem, you have to have information over time on the values of particular sets of performance counters. To track down the more insidious or sporadic problem, it is best to have the data in a SQL Server table, so you can query it. Feodor Georgiev explains the command-line way of doing this. It has been about 4 years since Brent Ozar posted his famous blog post on collecting performance counters. This information turned out to be extremely useful for both accidental and professional DBAs. About 4 years later I ran into Jonathan Allen’s article (Getting baseline and performance stats – the easy way. ), which is an upgrade to Brent’s blog. Jonathan offers a slightly more sophisticated way of running the Perfmon process from a command line. By appending the proper parameters, this method does speed things up. In this article, I would like to build on what Brent and Jonathan have written to propose an even more flexible method for SQL Server performance data collection. And here is the moment when I start thinking about my preferred choice of format. As a DBA, I do not like CSV much, unless I really need to export some trivial data and email it to someone. With CSV there is also a security risk, since it is nothing but a text file saved on the file system; same goes for the TSV and the BIN formats. Furthermore, the processing times are significant, since it is a two-step process: first we would have to wait for the counters to collect into the file, and then we would have to open them and manipulate the data so that we extract what interests us. Furthermore, if we could import our performance counters to SQL Server database, that would mean that we can query the data any time and we can write reusable code for the queries which will help us easily analyze data over and over again. 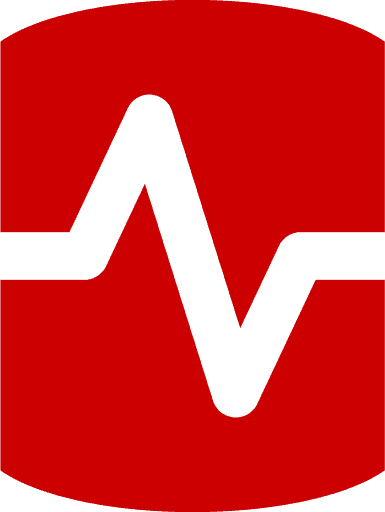 It will also help us detect events, patterns, send notifications, if we wanted. So, to get back on track: my choice for the performance data collection output is SQL. First, of course we need to set up a database which will contain our performance data. Second we would need to connect Typeperf to SQL Server. 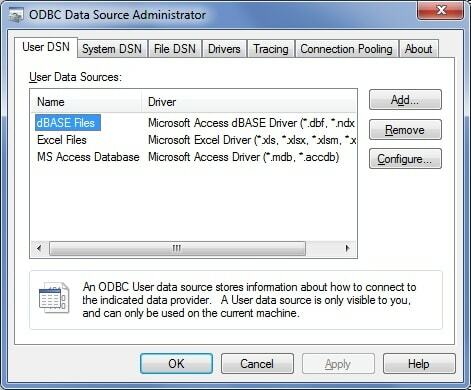 Let’s run the ODBC Data Source Administrator (we can access it by clicking Run… and then ‘odbcad32.exe’). In the tabs of the administrator we see ‘User DSN’ and ‘System DSN’. The difference is that the User DSN is visible only to the current user, and the System DSN is visible to all users of the machine, including the NT services. 3. 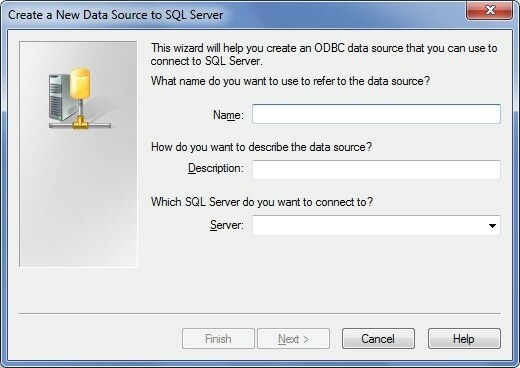 Fill in the name of the Data Source and the SQL Server instance name. In my case, I would go for ‘SQLServerDS’ and (local). I will use Windows authentication. Click next. 7. In this screen you will be presented with an overview of the settings and with a chance to test our connection. Click the ‘Test Data Source…’ and make sure that the test is successful. Now that we have a database and a connection, the next step is to gather some counters and to save the results into our database. As you can see, in the case of a named instance, we would have to manually edit the text file and input the name of the instance for which we need to collect counters. Depending on how many servers we have and how many instances of SQL Server reside on one physical machine, we would group our text files accordingly. Let’s say that we have one physical server and 4 SQL Server instances; in this case I would create one text file containing the counters for the physical server (including the counters for the default instance) and then create 3 more files containing only the named instances’ counters. For this article, however, I would collect performance data only from my named instance (the name of my instance is ‘SQL2005’) and my server. ‘sc’ is how many samples to collect, in this case 4, which means that the process typeperf will run for 1 minute and will collect 4 samples. As you notice, there is a '!log1' after the DSN name. This is a way to give a name to our performance data collection set. For example, instead of 'log1‘ we could put ‘beforeCodeRelease'. Note: do not be surprised if your first sample is sometimes 0. This is how typeperf works. This is because typeperf is getting the delta (the value difference) between the sampled intervals. 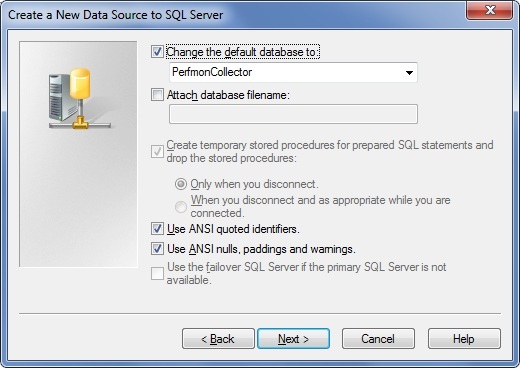 Let’s look at our ‘PerfmonCollector’ database. The CounterData table contains a row for each counter that is collected at a particular time. There will be a large number of these rows. GUID: GUID for this data set. Use this key to join with the DisplayToID table. CounterID: Identifies the counter. Use this key to join with the CounterDetails table. RecordIndex: The sample index for a specific counter identifier and collection GUID. The value increases for each successive sample in this log file. CounterDateTime: The time the collection was started, in UTC time. CounterValue: The formatted value of the counter. This value may be zero for the first record if the counter requires two sample to compute a displayable value. FirstValueA: Combine this 32-bit value with the value of FirstValueB to create the FirstValue member of PDH_RAW_COUNTER. FirstValueA contains the low order bits. FirstValueB: Combine this 32-bit value with the value of FirstValueA to create the FirstValue member of PDH_RAW_COUNTER. FirstValueB contains the high order bits. SecondValueA: Combine this 32-bit value with the value of SecondValueB to create the SecondValue member of PDH_RAW_COUNTER. SecondValueA contains the low order bits. SecondValueB: Combine this 32-bit value with the value of SecondValueA to create the SecondValue member of PDH_RAW_COUNTER. SecondValueB contains the high order bits. So, we have the data, let’s use it! The name of the collector set is found in the DisplayToID table, in the DisplayString column. There we also see the LogStartTime and LogStopTime. The DisplayToID table is joined to the CounterData table by the GUID. For my test case in this article I am using two data collector sets called log1 and log2. Both sets are using the same counters as mentioned above. In my case I would get only one server: \\ALF. This query will return the Processor Total % utilization time as well as the counter collection time and the collector set name. Feel free to use this query as a template for exploring other counters as well. Here is the result and as you can see it is quite easy to compare the two data collector sets. From this point on, I am sure that any DBA would be able to easily write queries and find out performance events, patterns and tendencies. In this article I describe a flexible and secure method for collecting data from the collection of performance counters from servers and SQL Server instances. This method avoids the limitations of Excel spreadsheets, and brings great possibilities to the DBA to query the data directly, so as to home in on the cause of performance problems (or the lack of them, hopefully!) in the monitored systems. Actually, if you run the collection once, you will notice that there is a typeperf.exe process started in the Windows task manager. Depending on your collection settings, this process will be running on your system. What this process does is it resides on the host machine and ‘pulls’ data from the machine which you have specified in your data collection settings. I would recommend terminating the process before starting again the same collection. more than 100 computers …. Looks great article. Need to implment and see how it is useful before grading the article as to its validity. I really like the look of this as a performance monitoring tool, however after a brief play I couldn’t get the typeperf command to run. The error I got was Error: no valid counters. 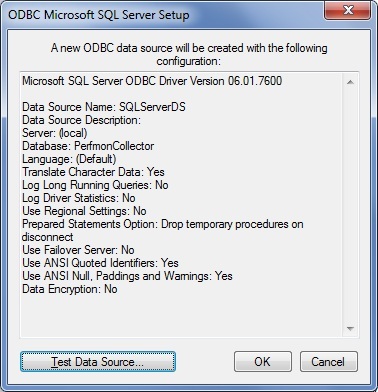 Starting with SQL Server 2008 you can also use the Data Collector (refer to Warehouse Data Management). The data collector, aside from being tied to SQL 2008 and up, is pretty clumsy. Yes, you do have some reports, however, it takes a serious setup, especially if you have a set of servers, and you want to collect the data to a cetral location. Again, as said earlier, if you have SQL 2000 and 2005 – the Management Data Warehouse is a partial failure. Great job and thanks for sharing this. Now I have already implemented this for one of our databases. You don’t happen to have some additional scripts to share where you e.g. summarize into a report the total result of a collect set(DisplayString) or where you compare two collect set against each other? 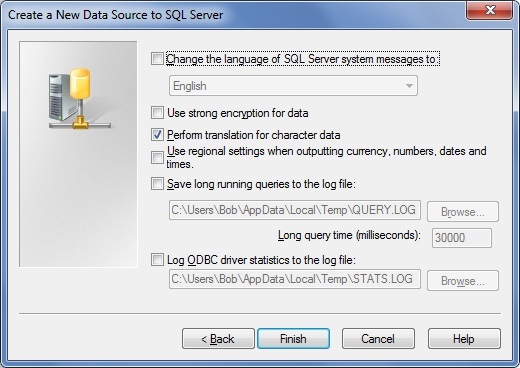 Thanks for the nice article.I find it better than using data collection feature in sql 2008. I have a question.I wished to collect the data for as long as i want,so i did not use -sc parameters which will restrict the number of samples.Does it mean it will keep collecting the data as long as it can? I could not play with parameters.So i scheduled an SQL job to run as long as i want and it executes the commands above through command line interface.It gives me flexibility to capture it as long as i want. Seems to be an issue connecting to the ODBC data source. used “!” after name like you did on post. Then thinking “!” might be mistype did it without the “!”. Finally tried it without giving a name to the collection data set, using only Data Source Name. All failed. Then realized that there were no spaces between “!” and words on either side and ran successfully. How come the command would not recognize Data Source name without collection data set name? If you look at the [dbo]. [DisplayToID] table in your data collection you will notice, that the string you entered after the ‘!’ sign is saved in the [DisplayString] column, together with other properties of the performance collection session. This is done in order to give you flexibility to collect different sessions and give them proper human readable names and use this information later on in your analysis and session tracking. In short, this functionality is needed so you can easily track what sessions you have run and so you can distinguish them by the name you have given them, not only GUID or timestamps. I hope this answers your question. If you have other specific questions on the topic do not hesitate to send me an email. Collecting hourly data for a week. Great article and great instructions! It worked the first time for me! I am confused on how to collect my statistics. If I want to monitor % Processor Time hourly for 1 week I am not sure how to set up my job. ??? how does this run for a week? ??? can i close the command prompt window? ??? can i stop the job? Great Performance data collection tool!! I am working on this article and i am getting error says Error: No Valid counters. I followed all the steps mentioned above. 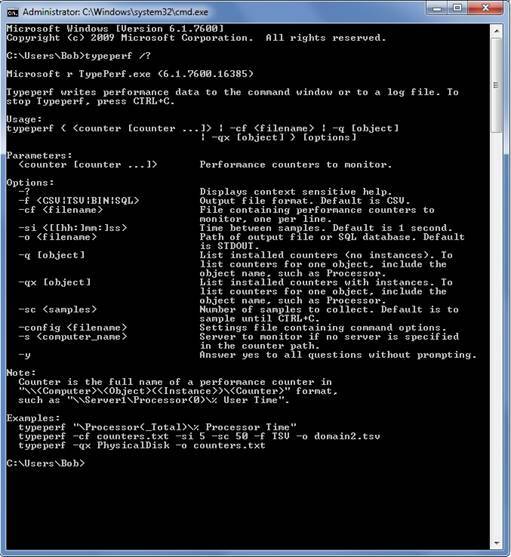 But when I tried to run typeperf command, it gave me invalid counter error message. 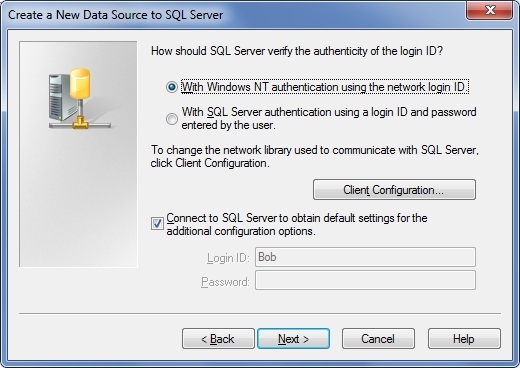 Configuration Windows Server 2008 with SQL Server 2008 Default instance. When I try to add the following counters, it throwing error message as : "Error: No Valid Counters"
Could you please suggest to overcome this issue. I was receiving the no valid counters error message. I changed the -s flag to use the ip address of my server instead of the server name. also double check what you have for the -o flag. I am getting the "no valid Counter" while running the code. hi all for "no valid counter" error please check the path correctly. Change names of 3 Perfmon tables. Is there any way to change the names of the 3 tables created by Perfmon because I already have CounterData and CounterID tables with different schema being used by other processes. Change names of 3 Typeperf tables. Correction for the above. It’s "Typeperf" not "Perfmon". Is there any way to change the names of the 3 tables created by Typeperf because I already have CounterData pand CounterID tables with different schema being used by other processes. I have more than 20 servers running the typeperf per minute to collect performance counters to a central sql server database. 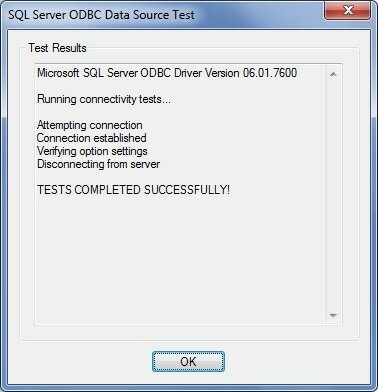 "Call to SQLExecDirect failed with [Microsoft][ODBC SQL Server Driver]Communication link failure." "Cannot alter CounterDetail table layout in SQL database." Restarting scheduled task sometimes work sometimes not. 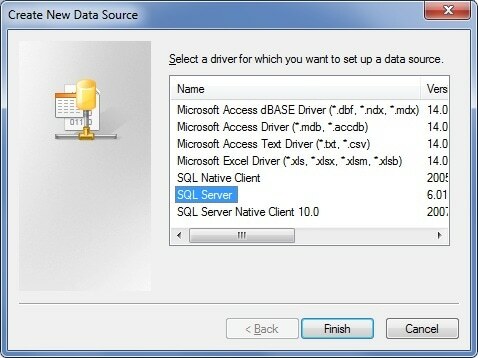 I am using "SQL Server" driver not the native one, the native one doesn’t work, found out all people using the classic driver. Anyone knows a stable solution? What and where should I replace above? Very well written article. I am using TypePerf for baselining production servers about 100 servers. I am trying to run TypePerf remotely using PowerShell commands with bat files.When I run the command directly from a server, it’s works. But when I run it from PowerShell on a remote server its kicks me out with a login failure. Although, as a DBA I have full rights on the servers. 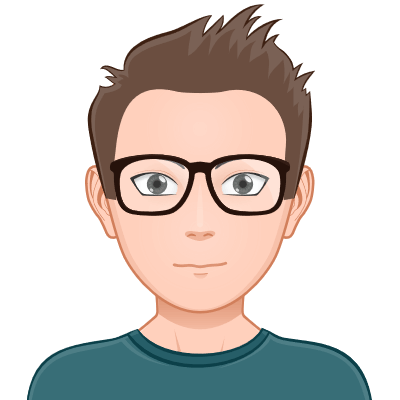 This powershell script creates ODBC connection on each server but exits when running the TypePerf command with the error attached. Login failed for user ‘NT AUTHORITYANONYMOUS LOGON’. Reason: Could not find a login matching the name provided. Has someone had the same experience or is there something I am not doing right. In this screen you will be presented with an overview of the settings and with a chance to test our connection. This method avoids the limitations of Excel spreadsheets, and brings great possibilities to the DBA to query the data directly, so as to home in on the cause of performance problems (or the lack of them, hopefully!) in the monitored systems.